Last week we gave you food and drink recommendations around Atlanta during Super Bowl weekend. We didn’t want to leave out businesses like breweries and distilleries. Here are some of our favorite places to sip, savor, and take a bit of Atlanta home. Atlanta recently earned the distinction as Best City for Beer Snobs in TripSavvy’s list of Where to Go in 2019 for good reason. It’s easy to think of 10 great breweries making outstanding beers, from Atlanta’s oldest—Atlanta Brewing Co. to newcomer Contrast Artisan Ales. Here are a few standouts. From its first release—420 Extra Pale Ale—SweetWater Brewing has had a environmental and community commitment as a goal while producing award winning brews. Their upcoming Guide Beer series was designed to enjoy in the great outdoors, with a percentage of profits benefitting guides. 100% of Second Helping IPA brewed with juniper benefits nonprofit Giving Kitchen, which helps restaurant industry folks in time of unexpected crisis. Tour the brewery and taste the new 420 Strain G13 made with terpenes which mimic the olfactory experience of cannabis. Check out The Woodlands next door, the barrel aging facility aging small batch sours and funky brews. SweetWater Brewing. 195 Ottley Dr., Atlanta. 404-691-2527, sweetwaterbrew.com. The place to ahem, tie one on, Monday Night Brewing’s taproom is bedecked with hanging neckties. This goes with their motto, “ weekends are overrated.” Ties also grace the artwork on their cans like Drafty Kilt, the Scotch ale with a wee bit of smoke and the citrusy and tropical All Y’all Pale Ale. Check out the West Midtown facility of the new Garage, where they tackle barrel aged, sour, and experimental beers. Monday Night Brewing 670 Trabert Ave. NW, Atlanta. 404-352-7703, mondaynightbrewing.com. Monday Night Garage. 933 Lee St. There is a coziness to Three Taverns Brewery. Raw brick and rough hewn wood make for an Old World setting that perfectly fits the Belgian style beers they are brewing. The light citrus A Night on Ponce IPA has biscuit malts. Their Prince of Pilsen pays homage to the most popular beer style in the world—refreshing and crisp. Sipping on a beer made in Belgian tradition like the Fortunatus American Sour Ale complements the weathered planks and dangling iron lanterns. Three Taverns Brewery. 121 New St., Decatur. 404-600-3355, threetavernsbrewery.com. Orpheus Brewing takes its name from a Greek prophet and musician. Beers are similarly named for Greek legends. The fruit Atalanta saison tastes of tart plums intermingling with spice. Transmigration of Souls is a Double IPA of dry malt and tropical fruit. Sip it overlooking Piedmont Park. Brewery is open daily for tastings and tours. Orpheus Brewing. 1440 Dutch Valley Pl. NE, Atlanta. 404-347-1777, orpheusbrewing.com. Midtown’s Second Self Beer makes beer with food in mind and suggests pairings with each brew. The brewery often hosts pop-up food purveyors to elevate your taproom or tour experience. Their Thai Wheat is downright exotic, infused with ginger and lemongrass. (It pairs well with Asian food). Strawberry Bleeding Heart is a perfect match for upcoming Valentine’s Day, with strawberry, cocoa, and rounded out with vanilla. Saison Champenoise is finished in the style of Champagne. Second Self Beer. 1317 Logan Circle, Atlanta. 678-916-8035, secondselfbeer.com. Old Fourth Distillery is steeped in history, both creating and preserving it. 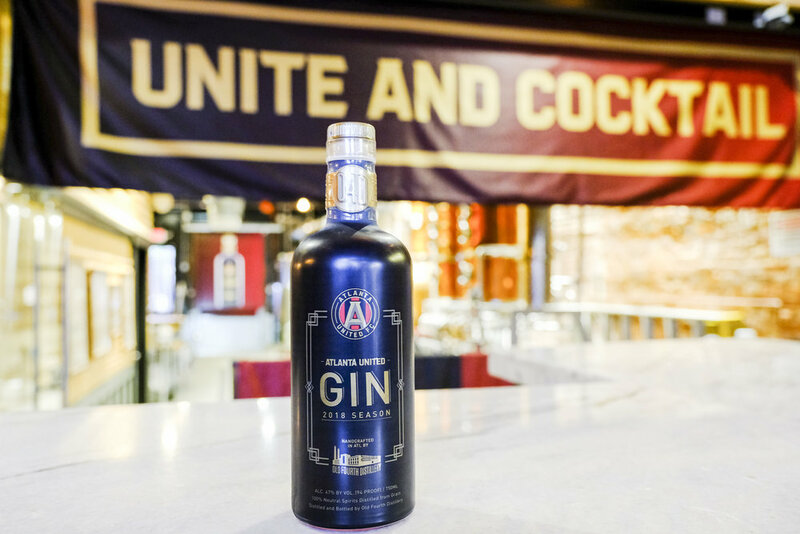 Opened in 2014, it was Atlanta’s first legal distillery since 1906. Much of the 1100 sq. ft. space is taken up by a custom built Carl pot still, Germany’s oldest fabricator. Tastings are poured over a marble countertop, repurposed from a former Elementary school. They use juniper berries collected from nearby Oakland Cemetery in gin. Tour and taste Thursdays through Saturdays and try cocktails made with their vodka, gin, and Lawn Dart lemon liqueur. Their aged straight bourbon whiskey is about to hit shelves, a rarity with only 75 barrels made. O4D. 487 Edgewood Ave. SE, Atlanta. 404-964-2522, old4th.com. ASW Distillery is the second licensed distillery in the city since prohibition and distilled the first single malt whiskey in Atlanta history. The 6500 square foot distillery was constructed around twin Vendome copper pot stills and opens to a well appointed tasting room. Tastings and tours, including craft cocktails made with ASW spirits, run Thursday through Saturday afternoon and evening. Since distilling their first ASW white whiskey, they have released Armour and Oak Georgia Orchard apple brandy, Resurgens American single malt rye, a wheated bourbon called Fiddler, and Ameireaganach single malt made with Scottish barley. ASW. 199 Armour Dr. NE, Atlanta. 404-590-2279, aswdistillery.com. Small Decatur-based Independent Distilling Company is situated between two breweries—Three Taverns and Blue Tarp. Since 2014 they have released corn whiskey, rum, and bourbon using a 100-gallon copper pot still. Their Independent White Rum uses grade A molasses for a full flavored spirit. Their Hellbender Corn Whiskey is made from locally sourced corn from Riverview Farms. Hellbender Bourbon is aged in charred American white oak. Both are named for an endangered Georgia salamander and bear its image on the label. Independent Distilling Company. 731 College Ave., Decatur. 678-576-3804, independentdistillingcompany.com.